The Japanese government has granted this loan package at 1% interest per annum in 40 years with a grace period of 12 years. At a media conference after the feasibility report was handed over by JAICA Chief in Sri Lanka, Fusato Tanaka, the minister said his ministry was not only able to obtain this huge funding from the Japanese government on a highly concessionary rate of interest, the Sri Lankan Government would be in a position to repay the loan before the stipulated period of 40 years. “The Light Rail Transit Project (LRTP) will not be a white elephant. It has the capacity to repay the loan in full before the stipulated period. The LRTP will no doubt be a blessing to the country and a big boost to the economy because it will reduce the travelling time from Malabe to Fort or Pettah from 90 minutes to 40. I hope when more and more people prefer to travel in comfort by modern light trains which will save time and money, it will also reduce the use of petrol and diesel vehicles contributing to environment protection,” the minister said. “The LRTP will also help to minimize road accidents when moving to this form of travel." Hon . Champika its only Hon . Sajith and you are working on constructive programes for SL . Others are ONLY talking , Hence please expiedite and complete the Light Rail project for the benefit of the country . NATO ? we should have started this in 2016 and finished by 2019. He has the vision but actioning takes a decade. Compared to Premadasa, Gamini and Lalith he is just talking. Well done Champika.After all how much commission are you getting and in what form. Good initiative. However I’m not sure how “Soon” is defined. Come on Sir, go a head with this project, this is what the country needs, I mean developments. You are a top class Engineer, you know better and I would say only you in the Govt. had done something for the masses. Please implement this project and run the race. I guess that you won't cheat like Ranil the liar. Ofcourse, we need people like you to lead the party and lead the country. For sure your plans to bring a Light Rail System will work and it will curve the traffic jam. Start immediately Sir. You are the only capable minister who could do something for our nation. This project (Light Railway) is most welcome by the public, no need to wait long - start it as soon as possible. Be careful Ranil mama will divert this loan in to Central Bank Bond matter and will try to cover it and save his friend Mahendran. I am sure its not like RW's Bracelets, Helicopters to Police Stations and Vauxwagan Car Factory projects. Thank you for at least executing one of Gotas great plans. the least you can do. Gota and others had only dreams. Project feasibility study report has completed only yesterday. Dear minister once you get the lrtp going.... Dont let the unions get involved. Only talking no working I have seen this news item several times. Is it an ovehead monorail or an underground railway. Whatever it is please do it fast. WHEN WILL THIS BE? Next century?? What dreams U have! Dear Minister, along with this please also extend the duplication road, traffic along Galle road is the traffic coming from places along galle road. Haha people asking to start this immediately have no sense! Seriously it takes a long time to plan and put in the execution plan for these projects. Not like making an instant noodles! Do you have any idea how many years they wasted ? We are not going to believe them this time until they show it to us by action. 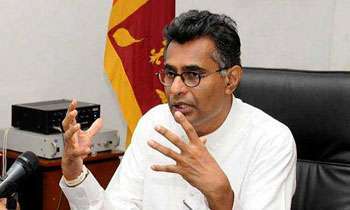 Ha ha ha.ex lankans in america laughing loudly by hearing these news items came from their former robery land.1950s colombo mayer dr n m perrera said in 2 years will build a electric train system.champika said nearly 4 years ago the same but better onevthan n m.still one inch didnt build. In case of any issue, will they (new employees of the light rail ) strike..???? Congrats! Good to hear! Execute the light rail project fast as possible. Yes it is a good project try and finish before the next elections. Also give a chance to local Readymix Concrete (RMC) suppliers. Do not bring any foreign RMC suppliers for this project. This is a very good infrastructure project which will help masses. Please make sure it's done transparently so that nobody steal money out of it. I say this because in SL, new projects = mega fraud at the moment.